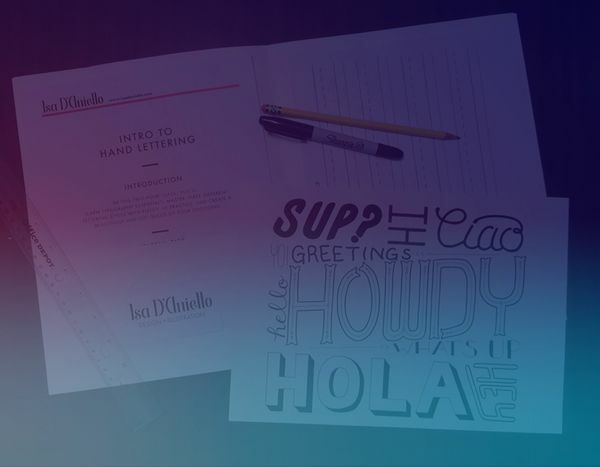 Join us for an introduction to hand lettering, taught by designer and lettering artist, Isa D’Aniello. In this 1.5 hour class, you’ll learn typography basics and get acquainted with multiple letterform styles through practice. Isa will guide you through identifying a phrase that speaks to you and how to develop an illustrative style that matches its tone. With hands-on guidance, you'll put your newfound knowledge to work designing and sketching a creative layout.